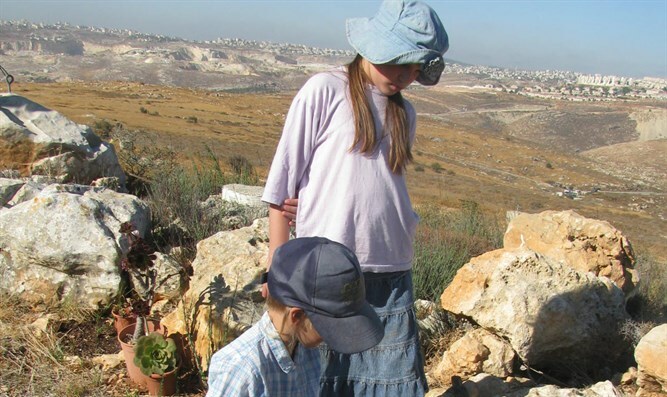 The Supreme Planning Committee for Judea and Samaria today (Wednesday) approved the zoning plan for Migron, the Jewish town in Binyamin which was evacuated five years ago by order of the Supreme Court. "We welcome the decision to approve the plan - this is a first and necessary step, but the critical stage is starting now - we expect the Prime Minister and his ministers to immediately advance the construction process. The time has come to stop the injustice that has been going on for more than five years. The time for talk and promises is over; the time has come to move to actions and establish facts on the ground." Earlier the plan for establishing Amichai for the Amona evacuees was also approved. The plan allowed 102 housing units for residents evacuated from the mountain near Ofra. Amona's chairman of the struggle, Avihai Boaron, said in response, "The decision today to establish Amichai is an historic moment - no less. After decades, in which no settlement was established in Judea and Samaria, state returns to the Zionist ethos and decides to establish a new settlement in Judea and Samaria. "This is a significant change in direction of the State of Israel that is happening as a result of the principled struggle of the Amona people and joins the achievement of the Regulation Law. These two things somewhat dull the inconceivable pain of the destruction of Amona and the destruction of its houses. At the same time, the road to actually entering the houses is long and the obstacles on the way to settlement and construction of houses in it are many. We expect the State of Israel, the government, and its leader to act with all their might so that we can leave as soon as possible the rooms of the hostel and enter the houses of the new settlement of Amichai." The meetings of the Supreme Committee began yesterday, when 296 apartments were approved in Beit El, where a new neighborhood was promised by Prime Minister Binyamin Netanyahu five years ago, following a decision by the Supreme Court to demolish buildings in Beit El. Prime Minister Netanyahu approved construction of 300 housing units in the town under pressure of the Jewish Home party ministers. In addition, the committee decided to approve immediate implementation of construction in Rehalim, adjacent to Ariel (97 apartments), in Nokdim in Gush Etzion (146 apartments), and in Ma'aleh Adumim (459 apartments). In addition, hundreds of apartments were approved at various stages: 160 apartments in Kfar Etzion in Gush Etzion, 120 in Nofim in Samaria, 102 in Negohot in the southern Hebron hills, and 17 in Nativ Havot, also in Gush Etzion.